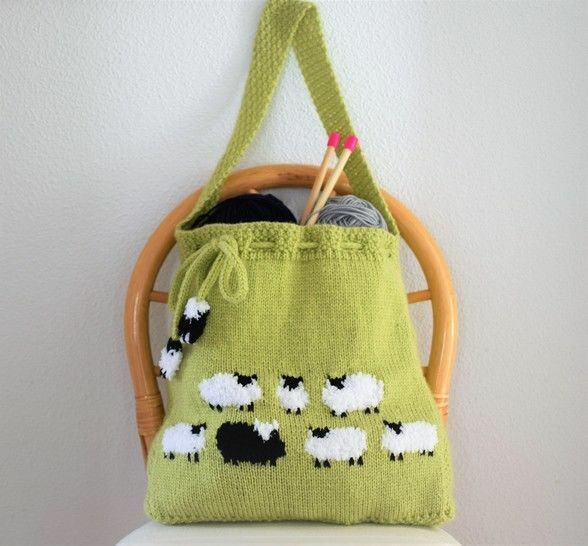 A stunning and unique bag featuring a flock of fluffy white sheep plus one black one. The front, bottom and back of the bag are knitted in one piece. The side panels and shoulder strap are also knitted as one, and this makes for a strong bag to hold your knitting, shopping, beach items or anything else you can think of! The length off the strap can be adjusted if you prefer to use it as a handbag.